Taste the difference in our gently pasteurized half gallon of low fat 1% milk. Smith Brothers Farms’ Low Fat 1% is a creamy milk that’s not too rich, not too bland, but just right. This makes it an ideal everyday milk: add to coffee, pour it over cereal, or enjoy in a tall glass. Our milk is always rBST-free and gently pasteurized for farm-fresh flavors! 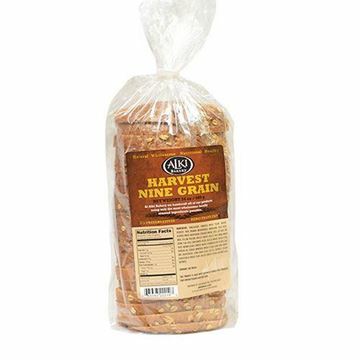 A loaf of locally baked, cracked wheat, nine grain sliced bread. Chobani Flip Key Lime Crumble Yogurt - 5.3 oz. Sweet-and-tart key lime Greek yogurt with white chocolate chunks and graham cracker crumbles. A lot of 1% milk tastes watery, but Smith Brother's 1% always tastes fresh and delicious! This milk is not watery, it is creamy, full, rich and fresh tasting. It tastes like your drinking a milk with more fat/cream than you are. It is that way with each "level or %" of fat you go up starting with fat free. Smith Brothers is THE BEST, once you start you won't go back. We love Smith Bros. 1% for cereal, hot cocoa and to wash down cookies and pie. It's the perfect milk for everyday. Our family loves Smith Brothers 1%. My kids have a glass with every meal. It truly is the best 1% milk that I've ever had. This milk is so fresh and delicious. You wont be disappointed. This milk is sooo great! Once you go Smith Brothers you never go back!